Answer: you can always use our contact us page for more details. Both the r4 RTS and he dual core version are equally as good and will perform most of the same tasks, with the exception of the real time save, which is only in the rts version of the card. Atari 2600 Games on My Nintendo 3DS! You Bet Ya! I love this cars. 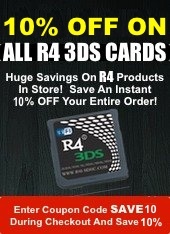 I bought it for the media play back functions and then found out later about some cool emulators for the R4 3DS card. I ended up getting 3 different emulators. The Atari 2600 emulator (stella DS), NesDS (for my nintendo entertainment system games) and jNesis, which runs my Sega Genesis games. I kind of feel like I have a hand held version of all of these systems, and I know there are a bunch more emulators out there that I haven't even tried. Woot! 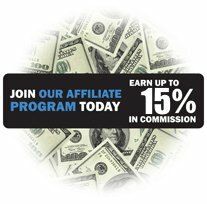 Okay, so guys, this site is not a scam! It actually is real. I ordered this product a month and a half ago! I ordered the R4 Gold for my 3ds but received this as an upgrade. I waited so long that I figured it was a scam, but really it was just customs delaying the shipment, and when I email them, I didn't think I got a response back until weeks later, but ended up finding it in my spam folder. So I filed a report with my credit card and had them give me back my money giving up hope on this product. Well, just yesterday, I got this small package in the male and lord behold, there was the R4! So, I loaded it up on my 3ds to test it out. It loaded nothing. I then remembered I had to download firmware onto my old r4 to make it work. Once I did, I got the card to work and now I'm playing all my nds games on my 3DS XL and having a ball. I called back up my credit card company and told them it was a mistake and not a scam site and for them to take back my money. I am here to tell you guys that not to worry, this site is awesome, slow at some responses and shipping but I guess since it's coming from all over the world, it took some time and eventually they did send me a email to let me know it had been shipped. So be patient, it will come in the mail. Mine took a month and a half. But this is the first r4 site I found that wasn't a scam. Sorry for not believing in you guys lol but thank you for being true and making your customers happy with this neat device. Good luck guys and don't forget to load up your firmware on the sd card before placing the card in your 3ds. For whatever reasons my first card never arrived to me, another was eventually sent and arrived. I had a few problems with the order not being processed for a few various reasons, though all reasons were valid. The annoying thing was it was taking a long time to get an answer for my questions. However when I received a response they were informative and polite. Once I received the card it was great. Worked perfectly and I am more than satisfied with the product. 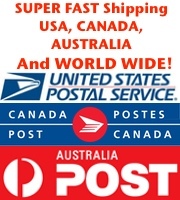 I was very skeptical of this site, as I had read several reviews of scams. I ordered my cards on 12/13 and they arrived on 12/28. I admit I was very nervous, but exactly what I ordered showed up. the contact was a little slow at times, but they always got back to me, and even gave me tracking on my order. Very fast shipping and a free upgraded card when I told them I was getting a 3DS XL. The card works just as you said it would, and you told me exactly which my options were. I thank you for being honest and helping me get the card that is right for me. My friends kept telling me to buy a cheaper card because it was working and would keep working. I am so glad I didn't listen and I got this card instead, because even with my accidental update to the 4.4.0 the R4 RTS has got a new firmware ready for it, while the other cards just can't work at all. This card is da bomb! Pretty terrible card with great intentions. This card doesn't particularly stand up to what it should, and the main reason that I write this review is because I've used a few, borrowed from friends and I want to see if this comment gets published since it's only 3 stars. I cannot stand frauds who ONLY publish the good reviews to public. If it shows up, I'll buy the card. 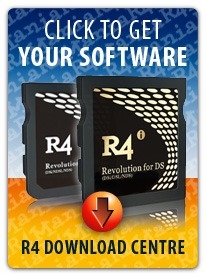 I am so happy I changed my order from the r43ds to the r4 3ds rts card. The real time save is a life saver (no pun intended here of course!) and I love that it gets updated so super quickly compared to other flash carts out there. I barely ever have to wait for updates at all. Keep up the good work guys, and thanks for an amazing product. The real time save is great! I love the real time save feature. Being able to save my game at any spot and at any point in the game is freaking awesome! I wish every card had this built in, but.... they don't. Thank god I got a card with RTS support!